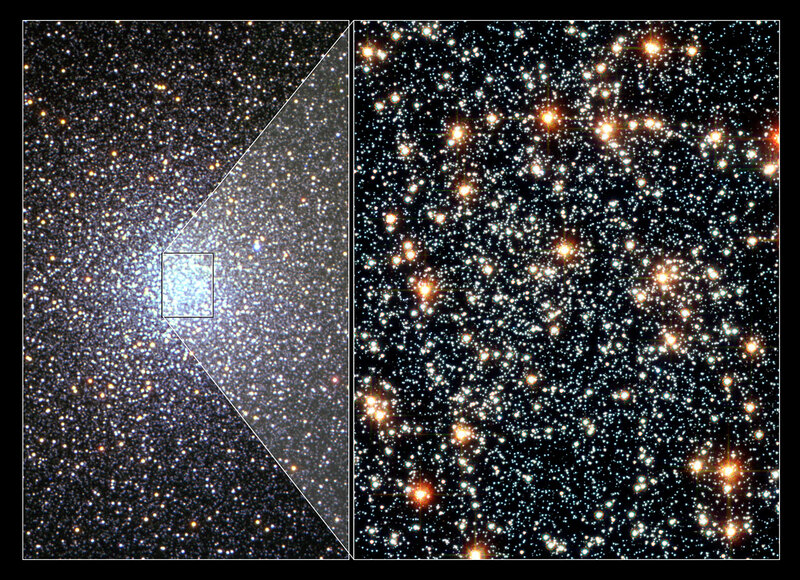 A seven year study with the NASA/ESA Hubble Space Telescope has provided astronomers with the best observational evidence yet that globular clusters sort out stars according to their mass, governed by a gravitational billiard ball game between stars. Heavier stars slow down and sink to the cluster's core, while lighter stars pick up speed and move across the cluster to its periphery. This process, called "mass segregation", has long been suspected for globular star clusters, but has never before been directly seen in action. Imagine trying to understand how a football game works based on just a few fuzzy snapshots of the game in play. This is the just the kind of challenge faced by astronomers trying to understand the dynamics of the swarm of stars in the globular star clusters that orbit our Milky Way Galaxy. 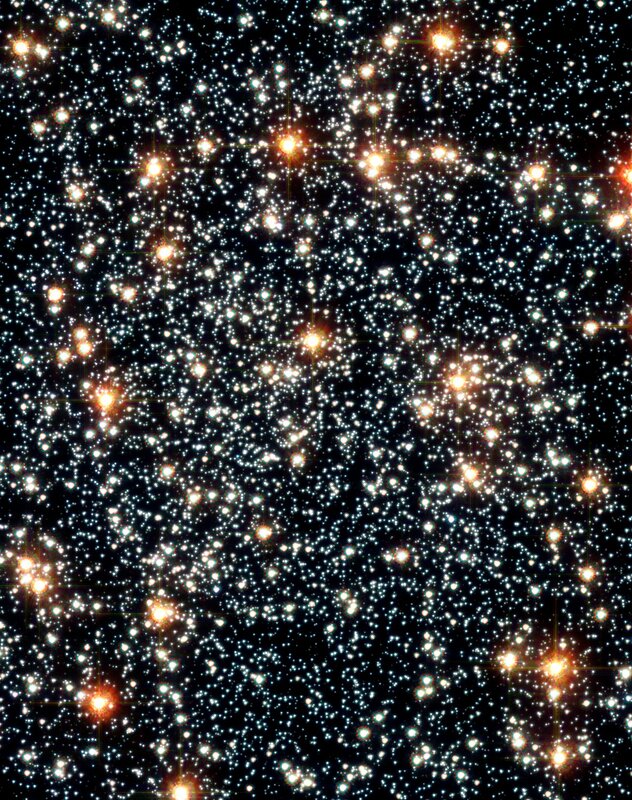 The NASA/ESA Hubble Space Telescope has provided the best observational evidence to date that globular clusters sort stars according to their mass, governed by a gravitational billiard ball game between stars. 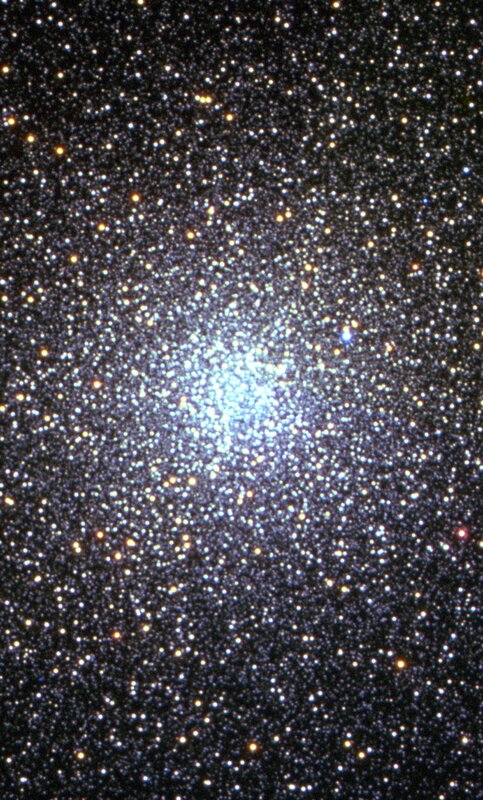 Heavier stars slow down and sink to the cluster's core, while lighter stars pick up speed and move out across the cluster to its periphery. This process, called mass segregation, has long been suspected for globular star clusters, but has never been seen in action directly before. 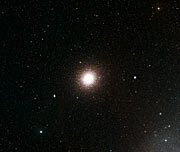 A typical globular cluster contains several hundred thousand stars. Although the density of stars is very small at the outskirts of such clusters, near the centre it can be more than 10,000 times higher than in the local vicinity of our Sun. If we lived in such a crowded region of space, the night sky would be ablaze with 10,000 stars, all closer to us than the nearest star to the Sun, Alpha Centauri, which is 4.3 light-years away (or approximately 215,000 times the distance between Earth and the Sun). Just as bumps and jostles are much more likely in a crowded commuter train, so are encounters between stars in a densely populated cluster more likely than here in our quiet stellar backwater. These encounters can be as dramatic as collisions or even mergers. Theory predicts that the cumulative result of many such encounters is mass segregation, but the crowded conditions make it extremely difficult to identify individual stars accurately. Astronomers needed Hubble's pinpoint resolution to trace the motions of many thousands of stars in a single globular cluster. 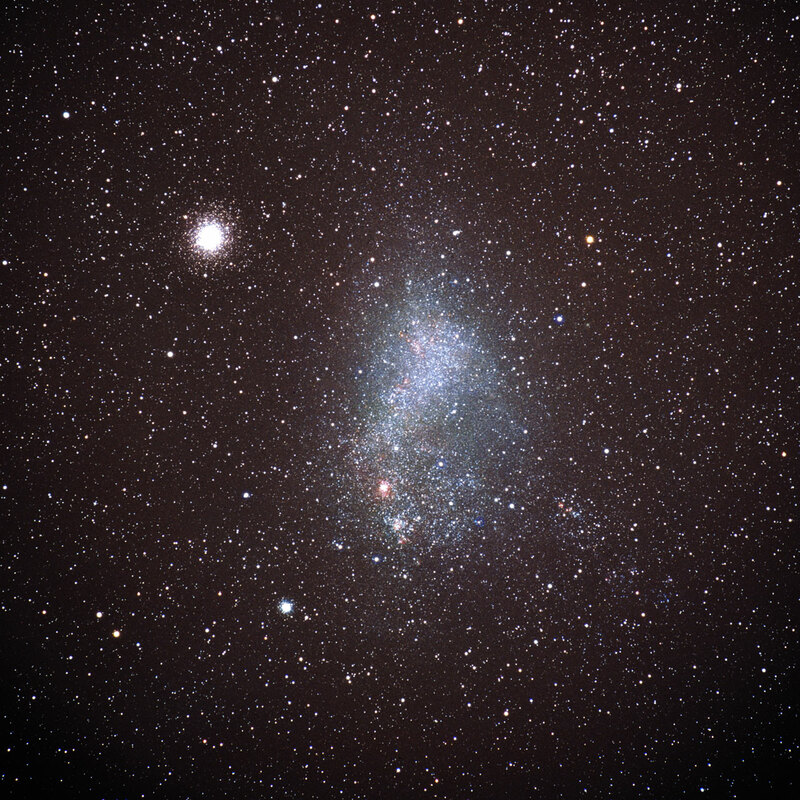 Highly accurate speeds have been measured for almost 15,000 stars at the very centre of the nearby globular cluster 47 Tucanae - one of the densest globular clusters in the southern hemisphere. 23 of these stars are of a very rare type known as "blue stragglers": unusually hot and bright stars thought to be the product of collisions between two normal stars. The slower measured velocities of the blue straggler stars agree with the predictions of mass segregation. In particular, a comparison between blue stragglers (that have twice the mass of the average star) and other stars shows that, as expected, they do move more slowly than the more typical, lighter stars. 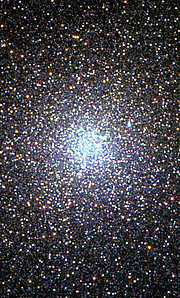 Georges Meylan of the ?cole Polytechnique Federale de Lausanne (EPFL) in Sauverny, Switzerland and collaborators took ten sets of multiple images of the central region (within about 6 light-years of the centre) of 47 Tucanae using Hubble's Wide Field and Planetary Camera 2 and the newer Advanced Camera for Surveys. Images were taken at regular intervals over nearly seven years. Extremely small position changes could be measured over time by carefully measuring the positions of as many as 130,000 stars in every one of these "snapshots", revealing the motions of the stars across the sky. The velocities of 15,000 stars were measured precisely. This is the largest sample of velocities ever gathered for a globular cluster in the Milky Way by any technique with any instrument. The results were also used to look for the gravitational pull of a black hole to check whether one exists in the cluster's core. The measured stellar motions have ruled out the presence of a very massive black hole. The study would have been impossible without Hubble's sharp vision. 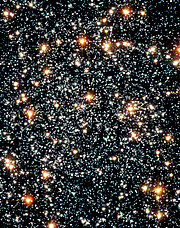 From the ground, the smearing effect of the Earth's atmosphere blurs the individual images of the numerous stars in the crowded cluster core. The typical angular motion of even the normal stars in the centre of 47 Tucanae was found to be just over one ten millionth of a degree (equivalent to the angular size of a 10 cent coin seen from 7,000 kilometres away) per year. To take full advantage of these exquisite Hubble images, astronomers developed entirely new data analysis methods that eventually provided measurements of proper motions (velocities) that corresponded to changes in the positions of stars at the level of about 1/100th of a pixel (picture-element) on Hubble's digital cameras. The results were published in the September Astrophysical Journal Supplement Series. The international team was made of the following scientists: D.E. McLaughlin (University of Leicester, UK), J. Anderson (Rice University, USA), G. Meylan (?cole Polytechnique Federale de Lausanne, Switzerland), K. Gebhardt (University of Texas at Austin, USA), C. Pryor (Rutgers University, USA), D. Minniti (Pontifica Universidad Catolica, Chile), and S. Phinney (Caltech, USA). If you wish to no longer receive these News and Photo Releases, please send an e-mail to distribution@spacetelescope.org with your name.